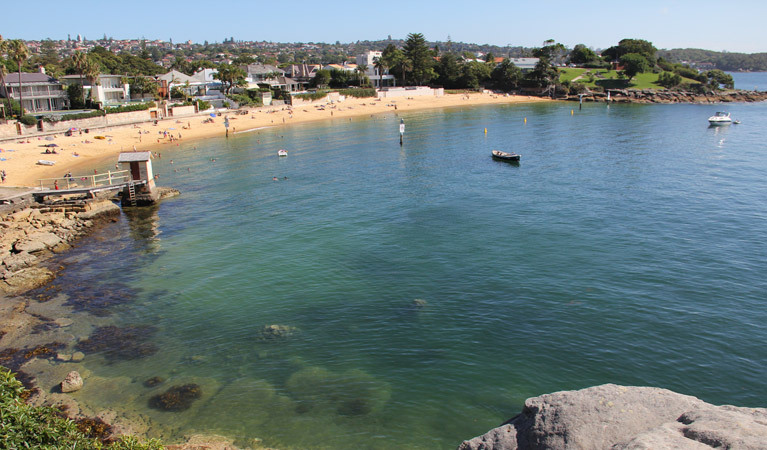 A great family day, Camp Cove boasts swimming, snorkelling, picnicking and paddling options with scenic harbour views, in Sydney Harbour National Park , near South Head. 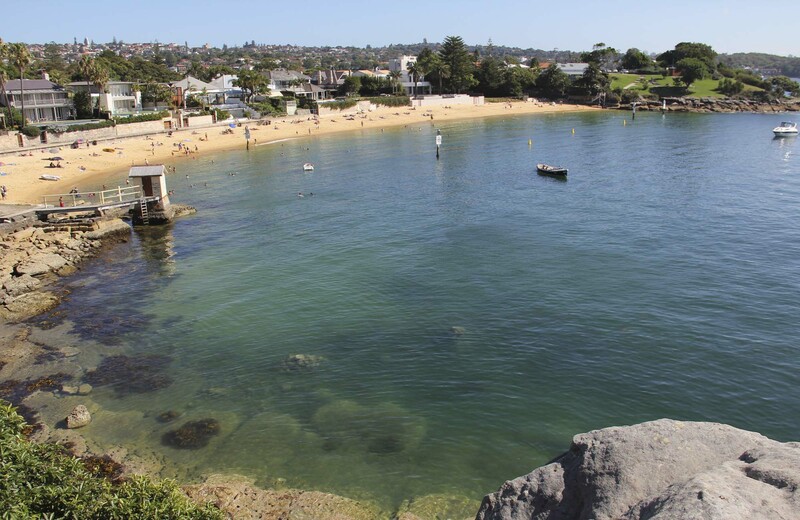 Just a short walk from Watsons Bay ferry wharf, wheelchair-accessible Camp Cove boasts millionaire views that are hard to miss. Nestled on the harbour side of South Head, this delightful beach is packed with fun options to keep the family smiling all day long. The kids will love swimming and snorkelling in the calm waters while you relax on the sandy beach. Unroll the picnic rug and enjoy a leisurely lunch while taking in the spectacular harbour views and city skyline. 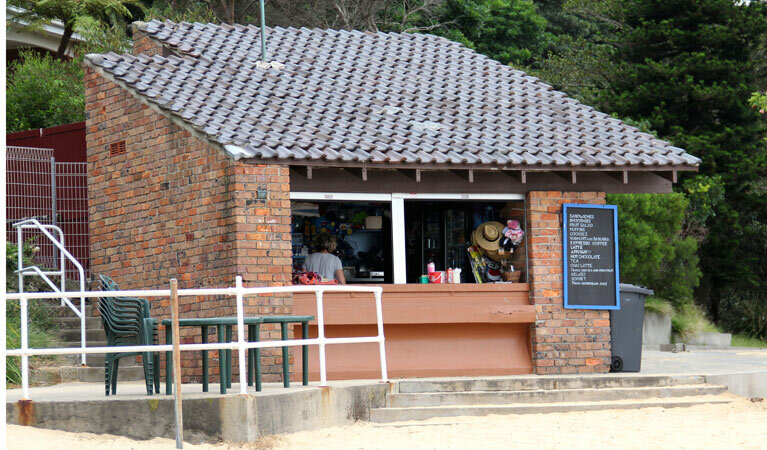 Round off a perfect day-trip with an ice cream or cool drink from the nearby kiosk. For the more adventurous, bring your kayak for a paddle or explore the underwater world while scuba diving. 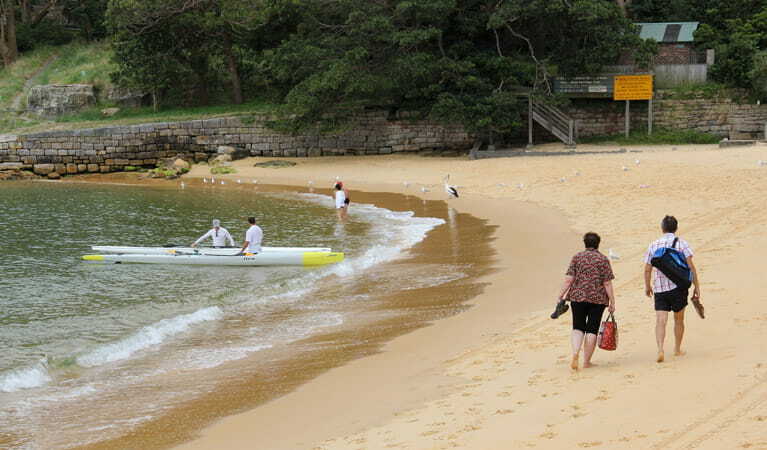 For a walk that takes in the unique history and breathtaking scenery of the southern area of Sydney Harbour National Park, South Head Heritage trail, starts at the northern end of the beach. Take a virtual tour of Camp Cove captured with Google Street View Trekker.